Editor’s note: Waterfield Designs is known for their technology bags. They are branching out. 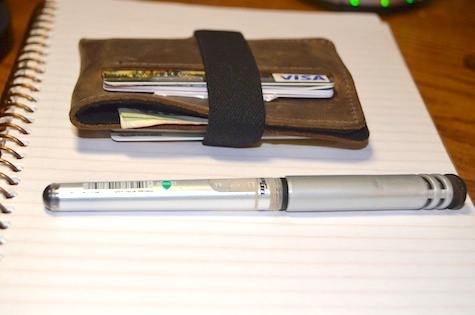 The first time I laid eyes on the Victor Wallet, I thought, there is no way this thing is going to work for a packrat like me. The beautiful leather wallet I’ve been using the last few years has an unusual amount of space for credit cards, insurance cards, gift cards and the like. Naturally, over the years, my needs expanded to fill the space available. I carry a wallet in my front pocket and lately the bulge in that pocket makes me look like I’m carrying a small paving brick. It’s so bulky that when I go for a bike ride I leave my wallet at home and take only my driver’s license, insurance card and one credit card in a tiny wallet that slips into my jersey pocket without any bulges. Still, on a daily basis I didn’t think I could live without carrying all those cards with me in my regular wallet. 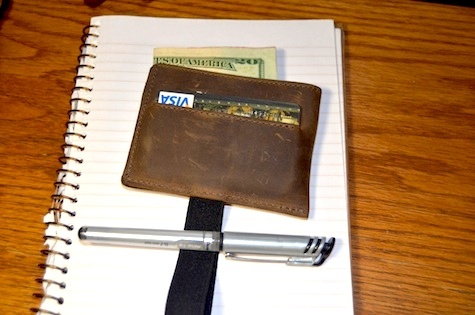 The $29 Victor Wallet gave me a chance to re-evaluate all the junk I’ve been hauling around in my old leather wallet. In the process, I discovered that Victor will hold a lot more than you might think at first glance. I got rid of some gift cards and a few other inessential items but still had room for everything I really wanted to carry. 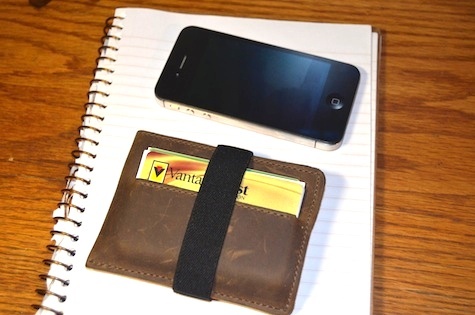 The wallet is made of soft and attractive leather with an attached elastic band that wraps over the top for a little extra security. It’s trim and compact. My new best friend.